What do you do when the electronics kit you want to buy is more than you’d like to pay, or doesn’t have the right mix of features? Stop by Metrix and create your own of course! 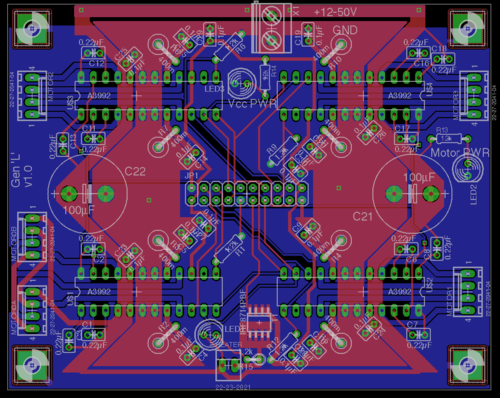 I recently spoke with Logan Bowers about his plans for creating and selling his own electronics package to work with the Clondels- also being made at Metrix. For those who aren’t sure what Clondels are, I’ll give a little run-down. 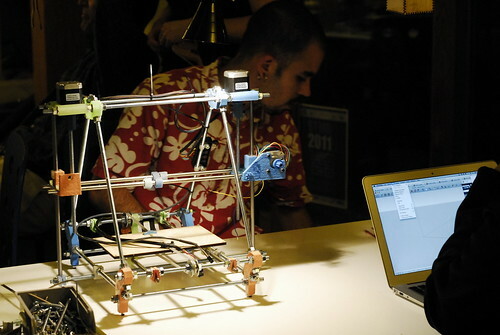 Several years ago the first gen of the RepRap 3D printers (named Darwin) were released. They were capable of printing all of their plastic parts to create more 3D printers. According to Logan, these machines cost about $5,000. The next gen of the RepRap, the Mendel, cost only $2,000, and had fewer parts to print. Now Metrix is selling what they call “the Clonedel”. 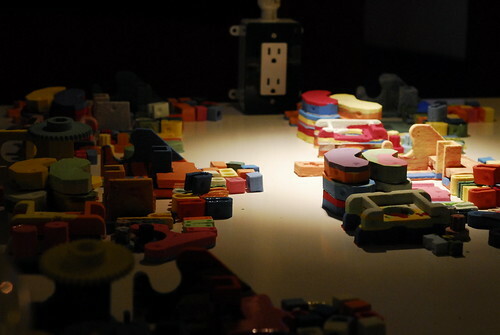 Made of molded parts instead of printed ones, you can buy a set for $50. Amazing, right? 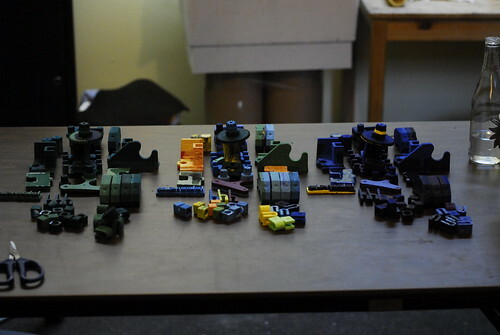 The parts that Metrix sells are just the plastic pieces, however. You need other hardware that you can mostly pick up from a local hardware store, and of course some electronics to tell the printer what and how to print. And that’s the part that Logan is focusing on. Current electronics packages for the RepRap run at least $130. Logan wants to make 3D printing available to an even wider audience and is hoping to make a package with more refined features selling for only $70. Of the kits available now, all have their pluses and minuses of course. One is really small, so it’s easy to mount. One is larger, but easier to assemble. One comes in many pieces, which means you can swap out parts, but is more expensive. Logan has picked three objectives that the other packages don’t meet. The first, that I mentioned before, is cost. The second is that he wants this kit to be very easy for hobbyists to assemble. That means no complicated machines to put together from parts. The third objective is for the printer to be extremely precise with how the motors move. That means a better finished product. He’s only been working on this project for a couple of months in his spare time, and he’s already made prototypes! Not only that, but he built his hardware using only free tools he found online, such as Eagle CAD to design the circuits. He’s got the hardware covered, but still needs to work on firmware and software. His plan is to have a pair of programs. One will run on the microcontroller on the board he’s created, and the other will run on your computer. He’s hoping to create an open source project that others can build from, just as he was able to look at open hardware designs. I hope to see his Clonedel electronics packages for sale at Metrix soon!